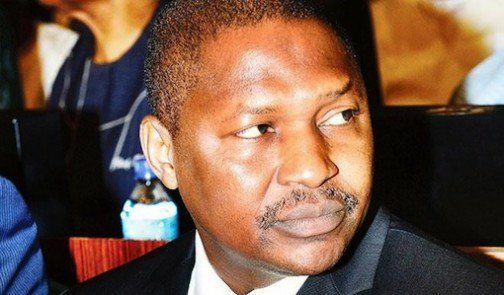 Muhammadu Buhari to immediately sack the Attorney General of the Federation, AGF, Abubakar Malami, SAN over his alleged unguarded memo on the Nigerian Maritime University, Okerenkoko. Princewill said there is tension in the Niger Delta and the Federal Government should hold Abubakar Malami responsible in case of any possible crisis between the Ijaws and Itsekiris in Delta State. Princewill noted the Malami has successfully ridiculed the Office of the AGF, stressing that he is incompetent,”Hence should be sacked with immediate effect” adding that the level at which Nigeria is now, there is no room for incompetence. Princewill who was reacting to the AGF’s memo to the National Assembly seeking to change the original name of the Nigerian maritime university, noted that the AGF is making moves capable of breaching the fragile peace in the region where the President and other stakeholders within and outside the region are working on modalities to bring lasting peace. Princewill blamed the Attorney General of the Federation for the alleged controversial memo, stressing that the office Malami is occupying ought to have consolidated on activities that will foster unity, peace and progress and not tension.